*New* items have been added! I have scoured the Internet for more free survival and preparedness gear and stumbled across an excellent provider, ApeSurvival, of quality survival gear including the Strike Pen. I have also added all new free survival gear from SurvivalLife. Check them out below! I have some great items you may want to consider adding to your preps and they all are fantastic. I have all of the items and I think they are a great add to any bug out bag, get home bag or EDC kit. All you have to pay for is shipping. *NEW* Strike Pen – The Strike Pen is a tactical self-defense pen that also doubles as a glass breaker. Included with the Strike Pen is a training guide that shows how to use the Pen as a self-defense tool. *NEW* Rescue Card – 16 in 1 multi-function tool that fits discreetly in your wallet or pocket. The black anodized solid steel material makes this a tough, handy tool. *NEW* Knife Card – The most compact blade option that fits discreetly in your wallet or pocket. *NEW* Survival Grenade – The Survival Grenade is a compact survival kit that includes 15 essential survival items tightly wrapped up into small grenade shaped package that can be used as a key-ring, clip onto your belt or bag. Everstryke Match – This is a great fire starter. You can never have enough means to start a fire. The Everystryke Match can start a fire anywhere even when wet. Firekable Paracord Bracelet – This clever tool is an invaluable, possibly, life-saving utensil that fits discreetly on your wrist. With a collection of survival gear woven into a bracelet, this doesnt even need to go into a bag. *NEW* Survival Business Card – This clever tool is an invaluable little gadget that fits in your wallet serves 11 cool functions. It is a Can Opener, Knife Edge, Slotted/Flathead Screwdriver, Ruler, Bottle Cap Opener, 4 Position Wrench, Wingnut Wrench, Saw Blade, Direction Ancillary Indicator, 2 Position Wrench and Keychain/Lanyard Hole. *NEW* The EDT Mini Multi-Tool – The mini “multi-tool” instantly folds out and multiplies in the strength of your own hand. The tool also features a super sharp “Surgical Blade” so that whenever you require a sharp edge, you’ll be prepared no matter the situation. Also included are a mini Phillip’s head screwdriver and a can opener. *NEW* Everstryke Pro – The All New Everskryke. This simple self-contained fire starting device is made out of solid stainless steel and will start a fire in the rain, sleet, or snow, and even if soaked it will remain 100% waterproof! *NEW* Evac 3 – This 3 inch, 0.6 oz emergency vehicle escape tool can break your car window if you (and your family!) are trapped inside. It can also cut through your seat belt and serves as a 120db whistle to signal for rescue. I don’t leave home without it! *NEW* Optic Fire Starter – When matches and lighters fail you, this nifty tool will become invaluable to help you start a fire when you need it most. Fits in your wallet and weighs next to nothing! 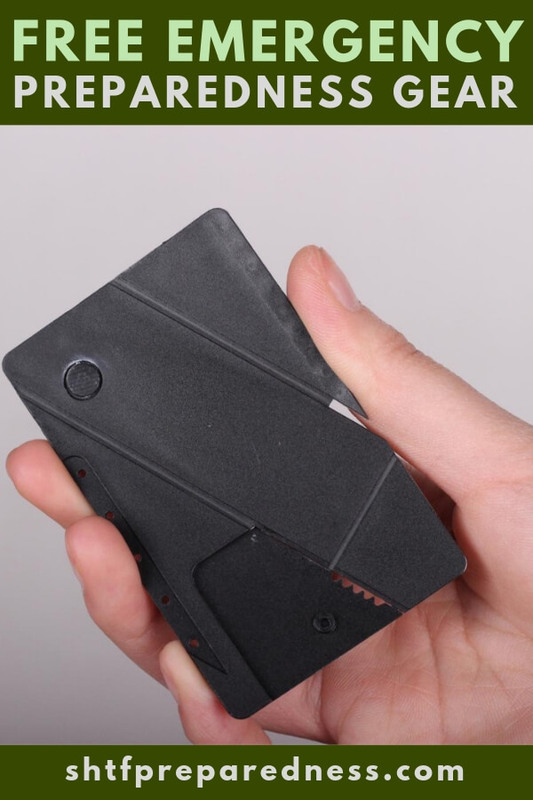 Credit Card Knife – This clever tool is an invaluable, possibly life-saving utensil that is equally at home in your wallet, purse, bug-out bag, toolbox, or even the kitchen drawer. *NEW* HyBeam Tactical Flashlight – With an aircraft grade aluminum body that is waterproof and shock resistant. The HyBeam features a 3 stage switch with High, Low, and Strobe. Ultralight, ultra tough with a beveled edge that can double as a defense tool. 550 Paracord Shoelace Fire Starters – These are one of the coolest, most innovative survival tools around. Hidden away inside the end caps of these super-durable shoelaces is a concealed fire starter. No snooping TSA agent is ever going to discover (they are 100% legal). 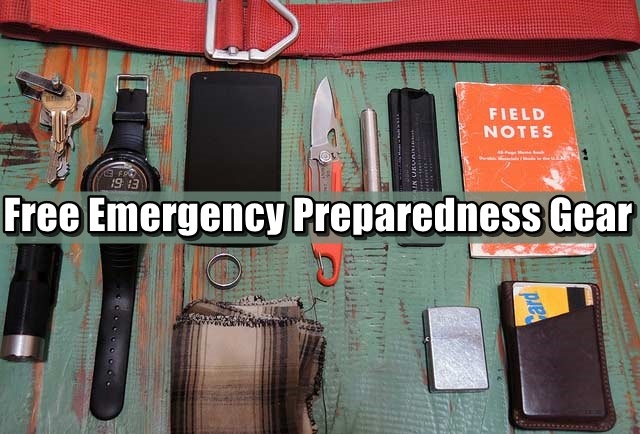 The Paracord Survival Kit – This is the ultimate paracord survival kit! Modeled after the famed M-67 hand grenade, the Paracord Survival Kit is stylish, yet also provides assurance that you’re prepared. A must-have for every bug out bag! Anti-Theft RFID Blocker – Never worry about your money, financials, or identity being compromised by thieves attempting to steal your personal data with the Safe Wallet Shield. A fraudster could simply get near you with an RFID reader in their pocket and invisibly scan and capture your personal information from your credit cards. The Safe Wallet Shield is the perfect solution to shielding your most valuable cards by blocking their RFID signals and protecting you from theft. This will be the hub for new FREE survival gear. So, bookmark this page!